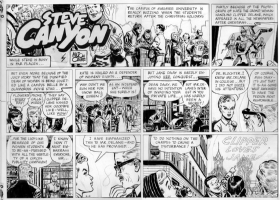 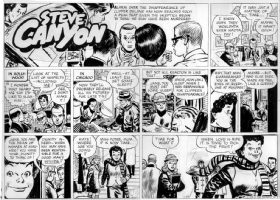 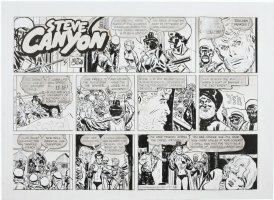 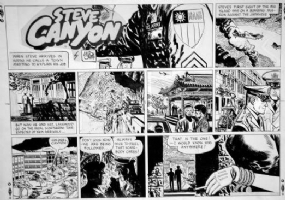 CANIFF, MILT - Steve Canyon Sunday 1-27-1963, Poteet Canyon is drawn into the turmoil of the missing actor, Clipper Dane! 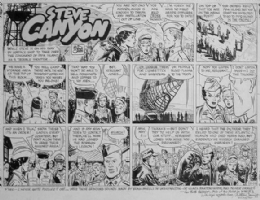 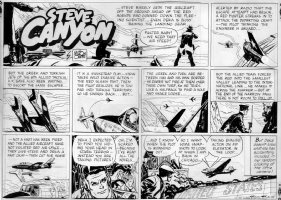 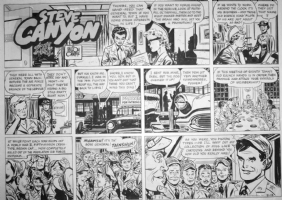 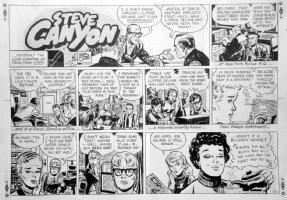 CANIFF, MILTON - Steve Canyon daily 12/11 1947, full of Steve! 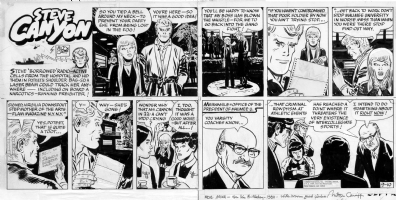 …and Happy, too! 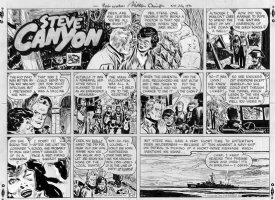 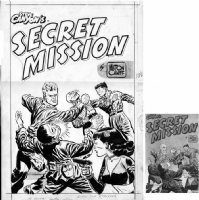 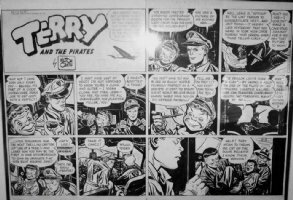 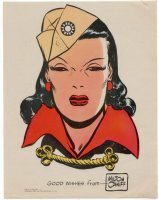 CANIFF, MILTON - Steve Canyon Sunday 1-20-1963, actor Clipper Delane has disappeared! 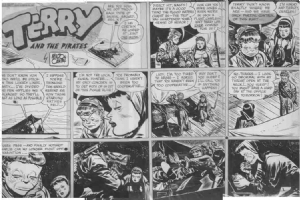 CANIFF, MILTON - Terry and the Pirates daily 8/29 1945, "foxhole" Terry "holds the young lady's hand"